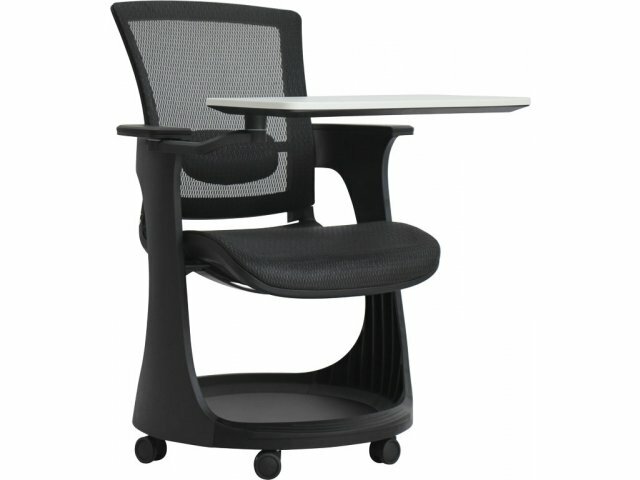 Roll into learning with an EduSkate Training Chair. 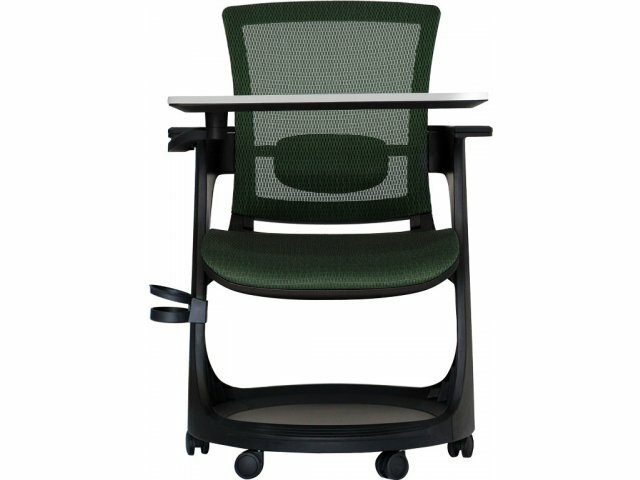 The revolutionary design offers the utmost in comfort and convenience for a truly transformative experience in the classroom or training room. 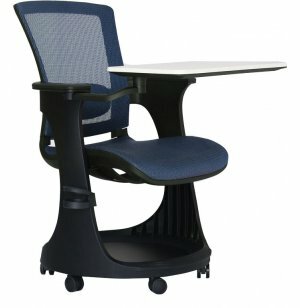 The stow-away writing surface and smooth rolling casters let you work in any space, with or without a table. With this arrangement, students can easily move from group projects to individual work. 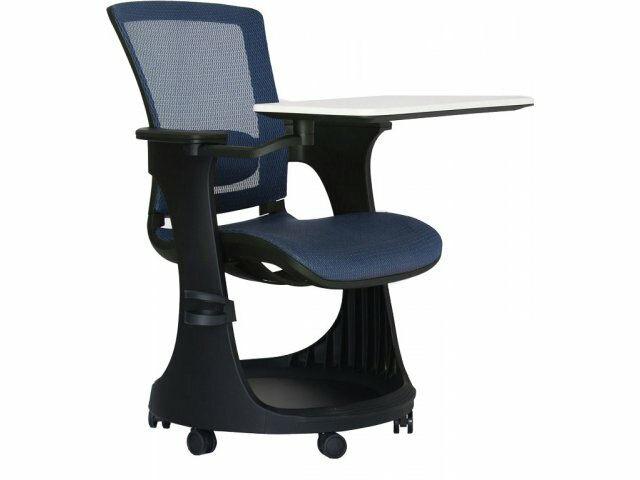 These tablet arm chairs offer ergonomic support for a more productive work day. 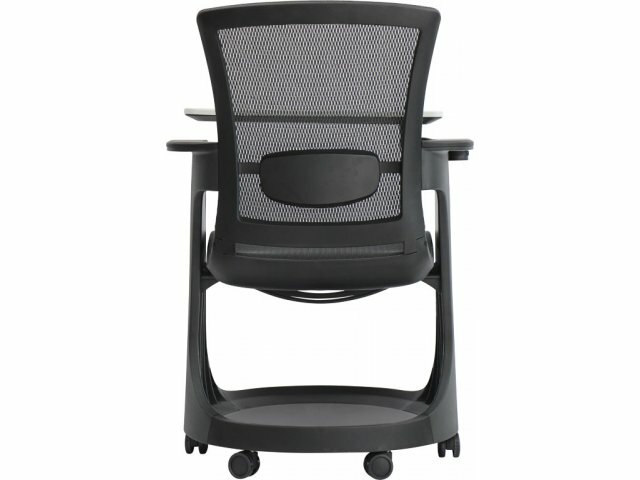 The ventilated mesh back with lumbar support and padded contoured seat facilitate healthy positioning. 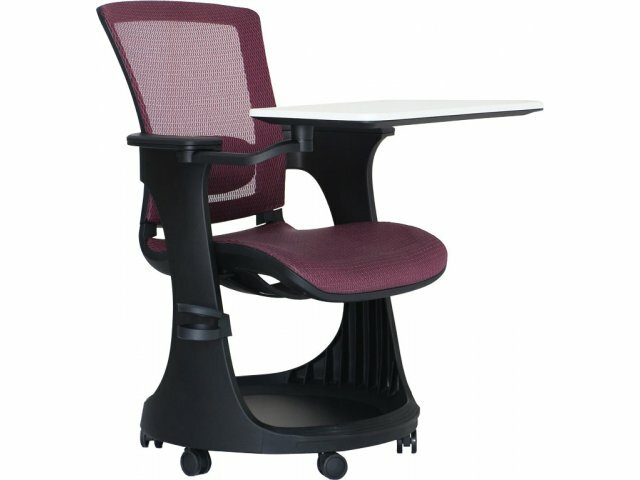 Integrated armrests offer enhanced comfort while a built-in shelf provides an accessible place for supplies. 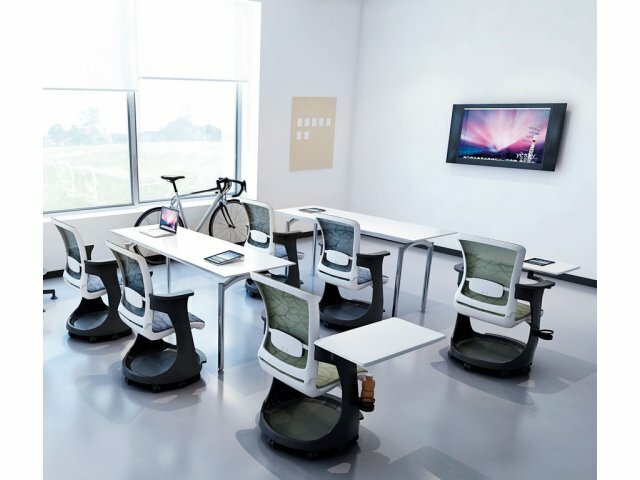 Get the flexible, supportive learning environment you’ve always dreamed of with the EduSkate Training Chair. Breathable: Mesh back provides airflow to keep you cool throughout the day. 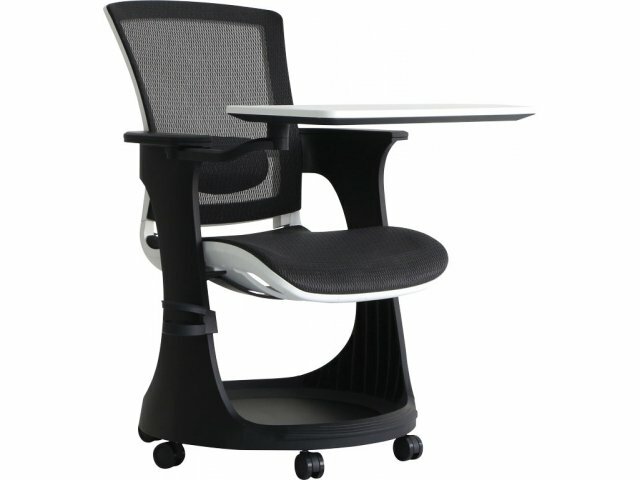 Ergonomic Design: Lumbar support and padded contoured seat promote proper positioning. Versatile: Stow-away writing surface lets you work in any space. 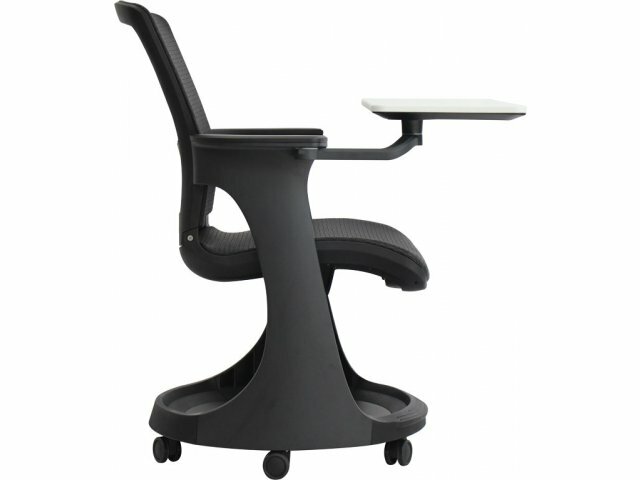 Arm Support: Integrated armrests offer enhanced comfort. Accessible Storage: A built-in shelf under the seat is perfect for books, backpacks and more. 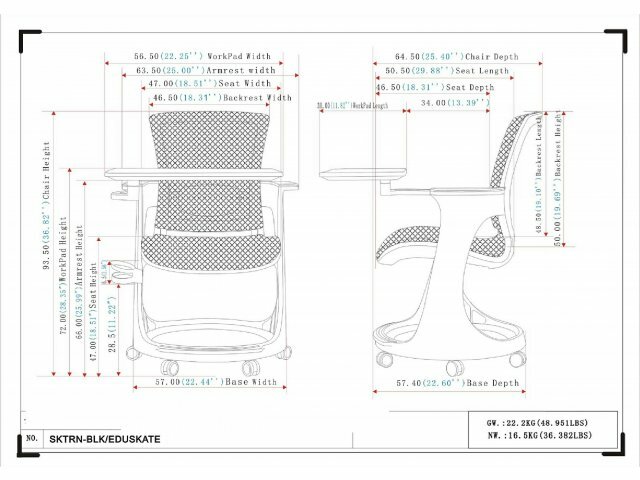 Smooth Mobility: Casters roll chairs into position without heavy lifting or dragging. Lifetime Coverage: Our Limited Lifetime Warranty guarantees many years of use and enjoyment. Mesh has a 5-year warranty.